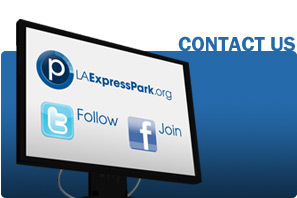 LA Express Park™ Updates Parking Meter Rates on November 6, 2017. 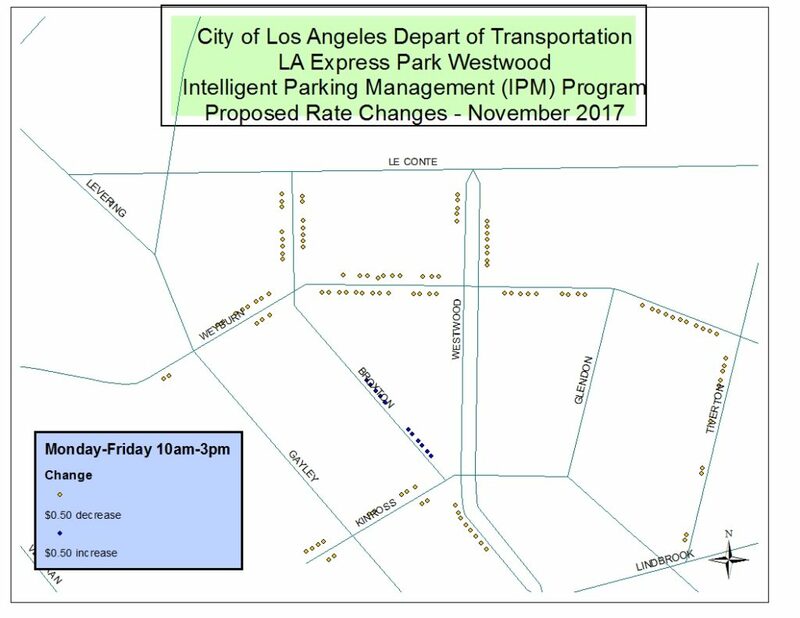 LA Express Park™, a smart-parking program from the City of Los Angeles Department of Transportation (LADOT), is updating parking meter rates to 37 blocks in Westwood Village area to improve parking management. 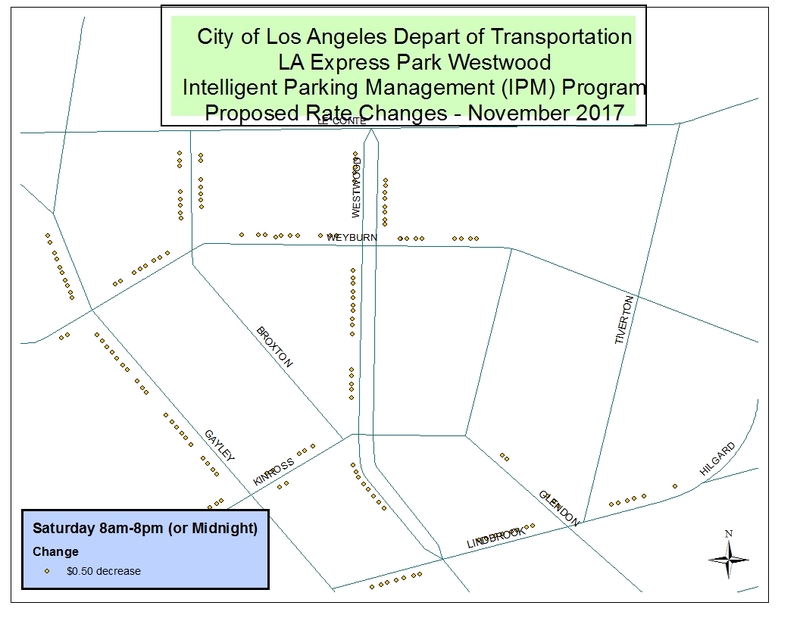 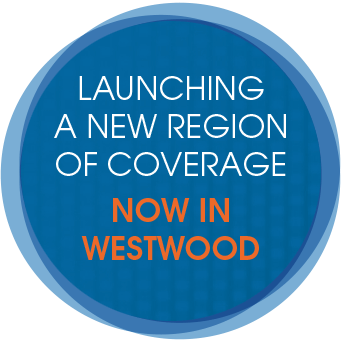 Wireless sensors continue to track Westwood street parking activity around the clock. 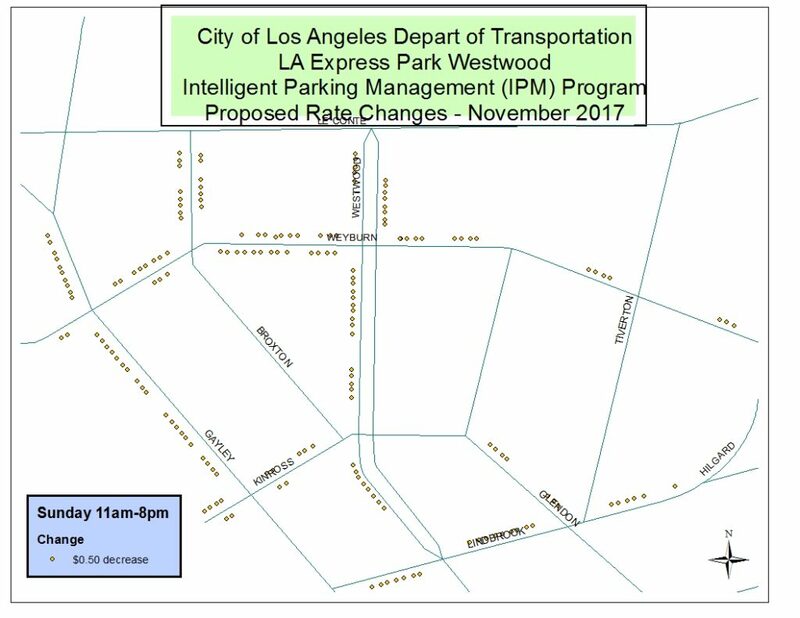 Using these data, parking meter rates will be adjusted on the first Monday of November 2017 to better match the price of parking to the demand on each block and each side of the street. 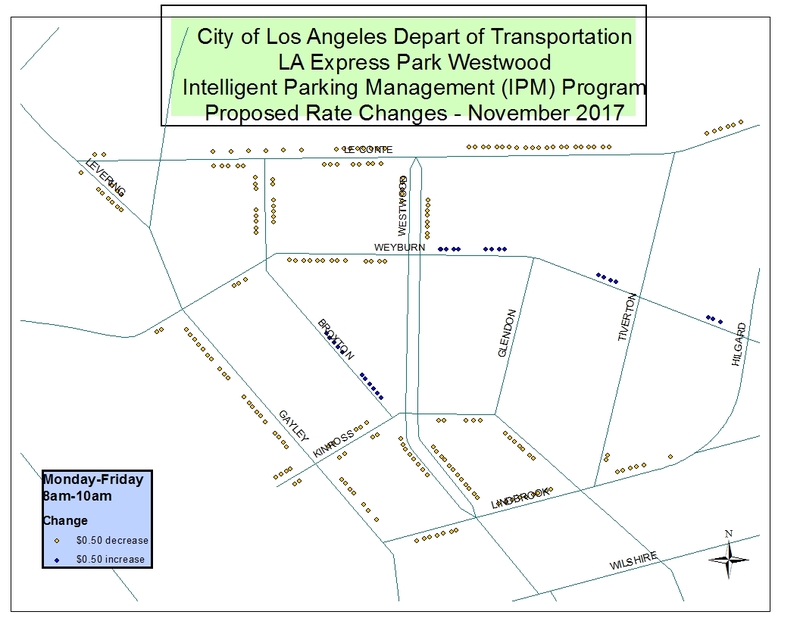 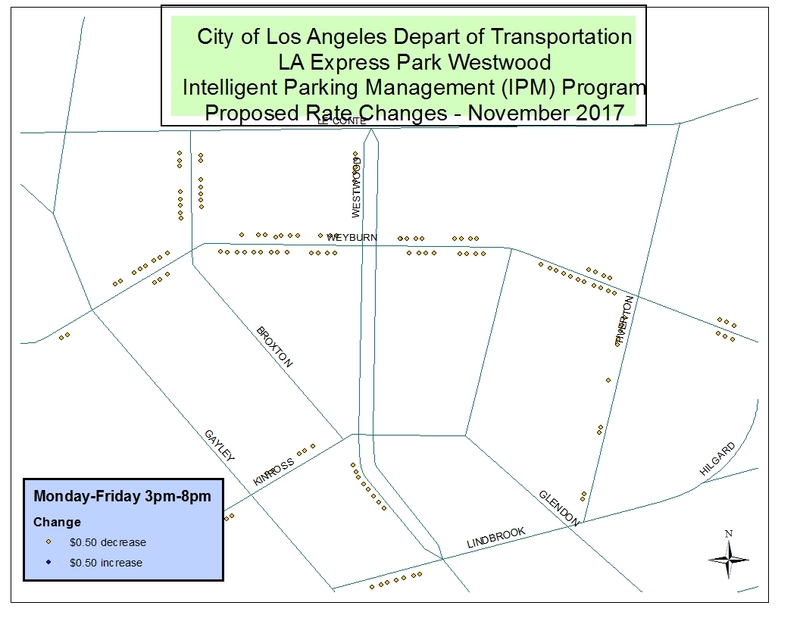 The overall goal of the LA Express Park™ program is to improve parking availability and reduce the time spent hunting for parking in order to cut down on traffic congestion and pollution in Downtown L.A.
On Monday, November 6th, LADOT will update parking meter rates throughout Westwood Village to 37 blocks. 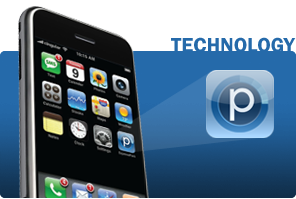 Overall, the average hourly rate in the project area will decrease from $1.43/hour to $1.85/hour. 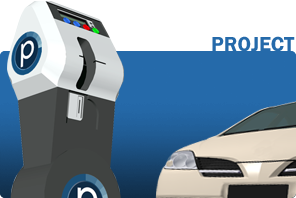 The average hourly rate will increase at 350 spaces in the project area, the remaining 100 spaces will have no rate change.